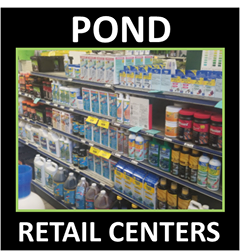 If you live in Alabama (AL)and you have or install a new water garden or water feature in your yard, interacting with your water feature is one of the most important factors to getting the most enjoyment out of your water feature. 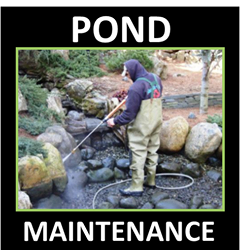 Interacting has many definitions, being able to crossover the center of your pond, or get to the other side of your stream safely would be the first concern. Bridges are great for directing people to a specific point of interest, seating area, fire pits, pathways, or open grassy areas. Landscape & Garden Bridges are almost impossible to ignore in a landscape, they keeping calling to you to walk across to get to the other side. 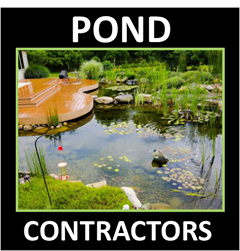 What you or your Alabama Pond Contractor Services member design for the other side of your bridge will determine how often the bridge will be used. Creating a "funnel" or pathway that leads to and from your bridge is key for optimum traversing. Metal frame bridges with composite wood decking will last a long time as long as the metal is properly coated with paint or powder coating. You may may to occasionally powerwash the decking surface to keep it from fading in the sunlight, or collecting moss or dirt stains.